Southern Cross G'box - Moruya Antique Tractor & Machinery Assoc. Inc. The output side of the transfer case. This unusual piece of machinery is labeled by "Southern Cross" as a gearbox. 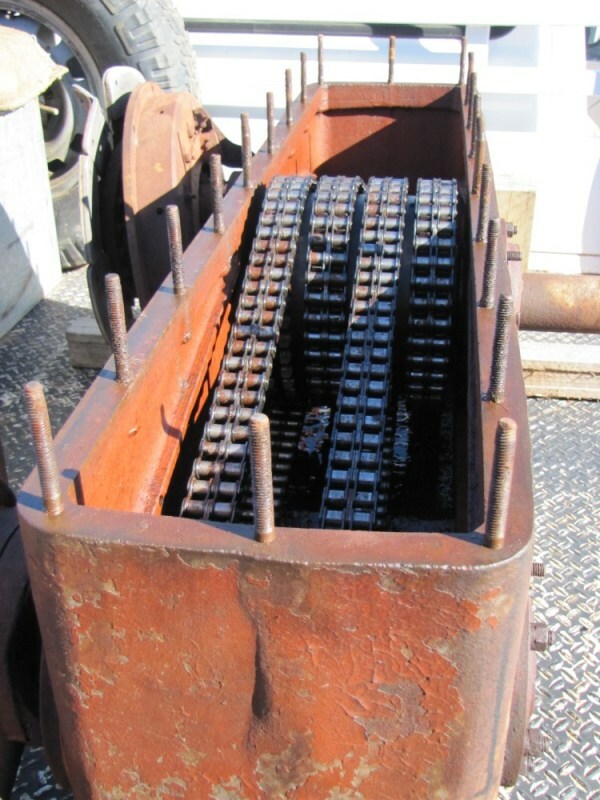 However, there are no gears in it at all, so we would rather call it a "Coupling reduction box". Its design allows 2 engines to be hooked up to enable doubling of the power output through one shaft. According to "Southern Cross" records, there were just 12 of these made, this being number 5, in 1951. 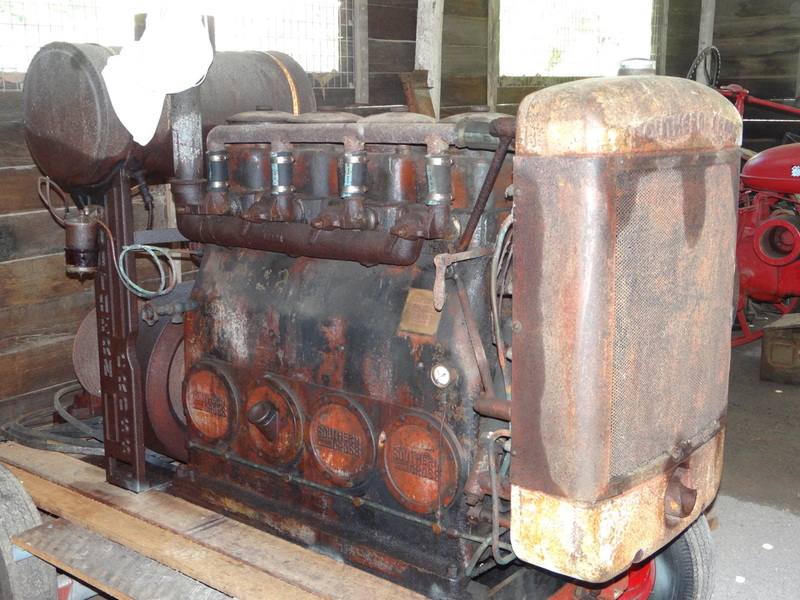 It was recovered by one of our club members, Neville Davis, who remembers it operating when relatively new at a sawmill in Binji, on the South Coast of New South Wales. 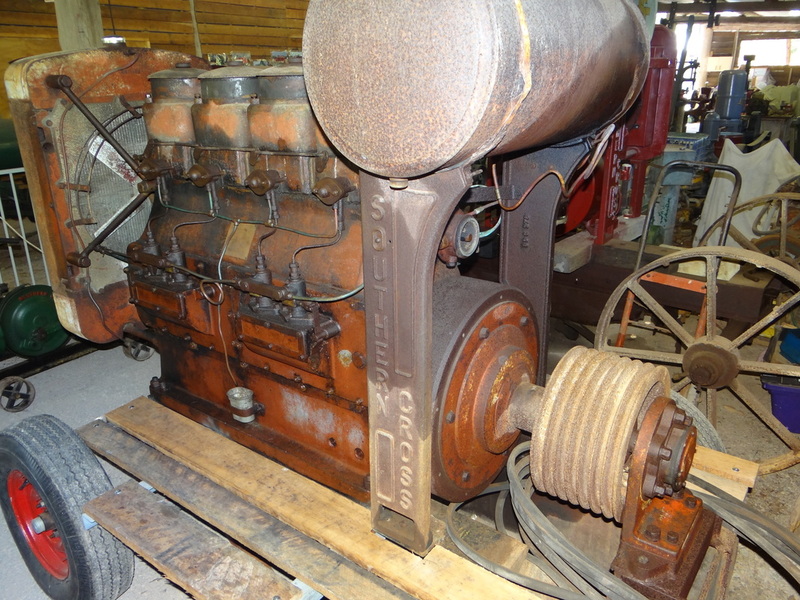 Neville recalls it being hooked up to two 40hp, B/GC, "Southern Cross", 4 cylinder, diesel engines in order to power the sawmill. There was a pair of large, elevated, radiators mounted nearby for cooling. He has also recovered and regularly displays one of the engines. 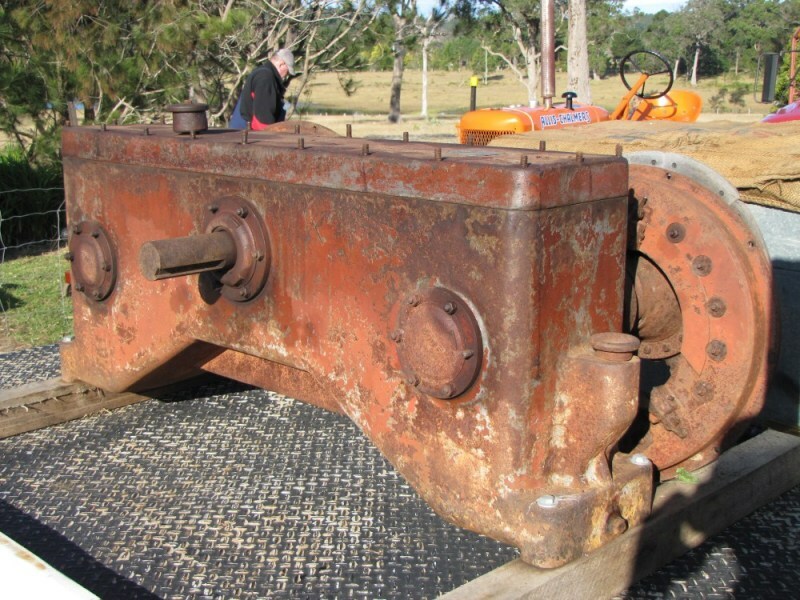 Neville donated and transported this important part of Australia's engineering history to the "National Southern Cross Museum" & Pioneer Village at Highfield, near Toowoomba, Queensland. Having given up on ever finding one, the museum is very pleased with the discovery and subsequent donation of this very rare piece of equipment. 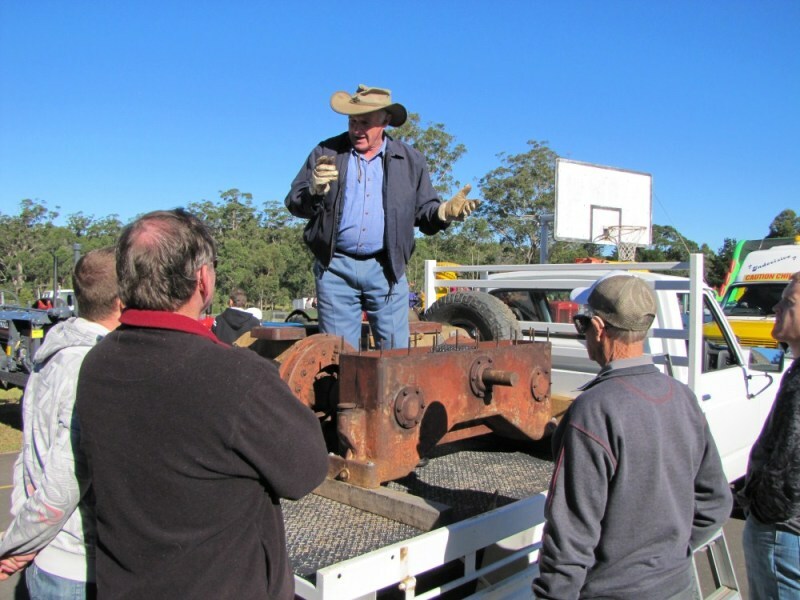 Neville Davis explaining the item and its history to a good crowd at Bodalla. Heavy chains rather than gears inside. 4 cylinder, diesel, B/GC "Southern Cross" engines that were hooked up to this interesting piece of machinery. The engine is one of only 55 that were produced. All of the equipment was supplied and installed by the local Southern Cross agent in the area, who co-incidentally was Neville's Uncle, Neil Davis. 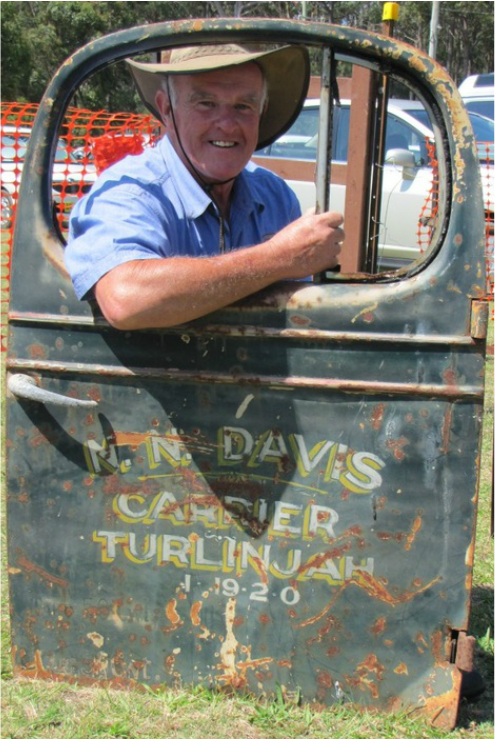 active club-member and passionate about preserving his families heritage in the Eurobodalla region. The truck door you see here is from a truck that his father used to own, many years ago. Neville attends rallies well prepared. He's very protective of his fabulous F12 and camps closeby.